In hindsight, LG's decision to launch the Watch W7 at $450 was a mistake. Selling expensive wearables is hard, and the mechanical hands gimmick is not exactly a big selling point. Retailers almost immediately dropped the price to $250, and now it's $50 cheaper than that. The Wear 2100-powered Watch W7 is the first Wear OS device to have physical hands like a "real" watch. 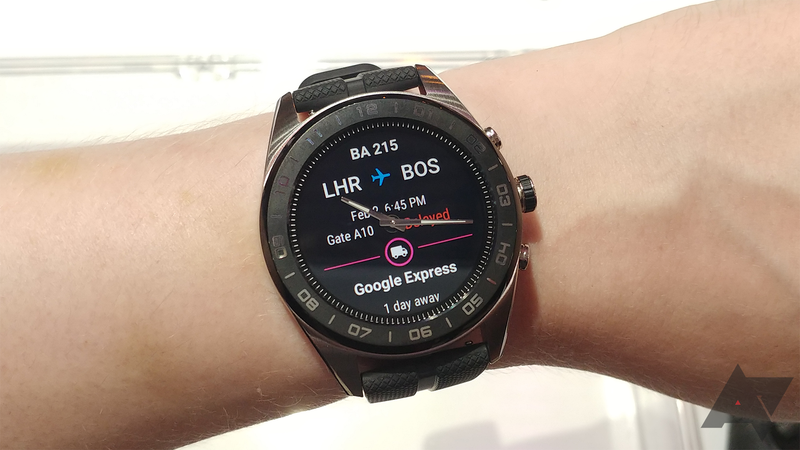 There's a touchscreen under the hands that shows all the usual Wear OS content. A button on the side of the watch aligns the hands horizontally and moves content up so you can read it better. It's a bit clunky, but it mostly works according to our review. Buying this watch at $450 would have been crazy, but the lower $250 price tag wasn't bad. Now, B&H has the W7 for $50 less than that. The $199.99 sale price is a whopping $250 off the original list price, and it won't last. There's a "limited supply" at this price, so don't wait too long.